MADE of cellulose sponge, the “business end” of this new floor mop absorbs twenty times its own weight in water yet remains soft and workable. A rectangular metal part with handle provides a squeezing device that wrings out the soiled water, which need not touch the operator’s hands. Only a slight pressure is necessary to squeeze out the water. There are no gadgets nor parts to get out of order. The mop can be used easily and quickly for cleaning walls as well as floors, and rugs also. The mop head can be detached for use in window and auto washing. I wasn’t aware that the sponge mop was 70 years old…Those things haven’t changed much, certainly! Still looks like drudgery to me . . . . I owned one of those. Compared to a string mop, the sponge mop puts the drudgery back into mopping – because it doesn’t work very well, so mopping takes more time and has to be done more frequently. Also, they sure made mop handles long back then, didn’t they? Now you can buy a robot that will mop your floor. My mom merely hires a cleaning lady. 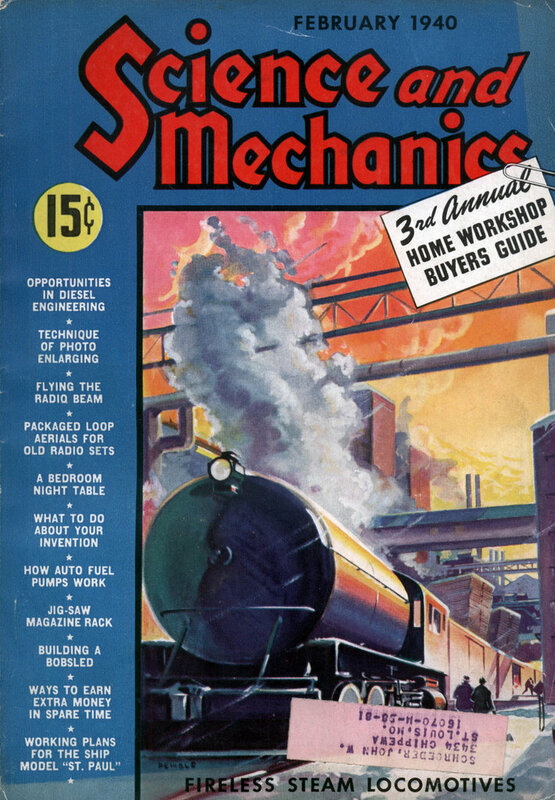 It’s always nice to see, among all the articles about flying cars and land-battleships, some brand new invention that actually DID become ubiquitously popular. 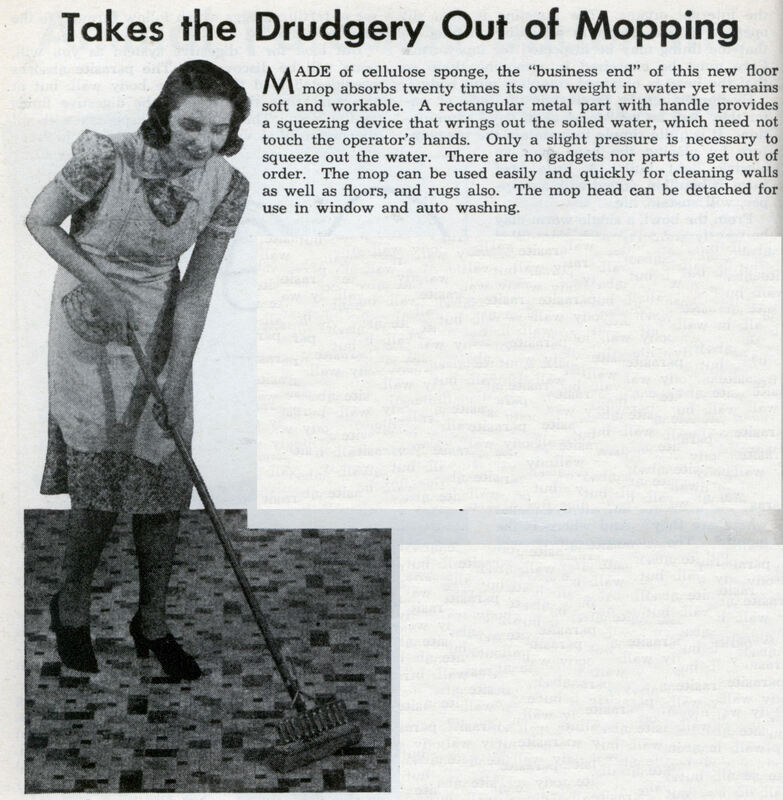 Seventy years of sponge-mopping taking (some of) the drudgery out of (certain kinds of) cleaning; whoever woulda thunk it? My favourite example of this is the plastic trigger-pack spray bottle, which is another object, like the sponge mop, that has changed little over the decades. So it kind of stands out when you see them in Doctor McCoy’s clinic on Star Trek. The trigger-pack sprayer had only just been invented when they were shooting the Original Series, so they threw a few in as inexpensive futuristic props, much to the amusement of those of us living 15 years after the Eugenics Wars were meant to have happened.